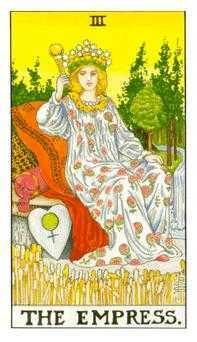 I'm Brigit, founder of Biddy Tarot, I'm here today with the Monthly Tarot Forecast for February 2017. We're going to cover the Blessings, the Challenges, and the Recommended Actions to help make this an amazing month. 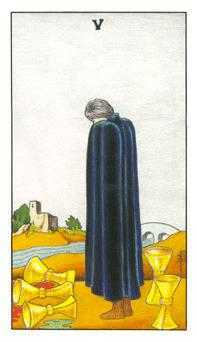 So our first card is the Five of Cups, and this is our Blessing. Now I know you might look at this card and go, "Brigit, how is that a blessing? He looks pretty upset, he's got three cups that've turned over..." And yes, this card does mean that there may be some things in your life that are disappointing right now, and maybe you've done some things you regret something that you've done or said, but because this is a Blessing, we need to pay attention to these two Cups that are still upstanding. This man is so busy worrying about what he's lost that he's actually not seeing these two blessings that are behind him. So your opportunity this month is to think, "OK sure, there might be some things that haven't worked out the way you want them to, however what are those blessings that are there? What are the blessings in disguise? Let go of that loss and really focus on those blessings. Here are our Challenges for this month, and we have The Empress reversed. There are some challenges around how you are nurturing yourself and taking care of yourself. 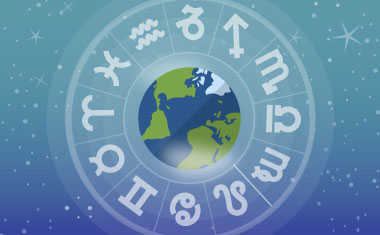 So, please, in make sure that in February, you do have the time to invest in you. You might be so busy taking care of your family, your work colleagues, your friends... you name it, you're caring for everybody except yourself, so please, please, please, with this card, make sure that you dedicate some time and energy to caring for yourself. 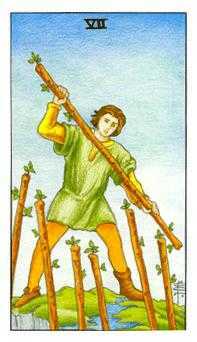 OK and our final card is our Recommended Action for this month, and it is the Seven of Wands. Seven of Wands is about really protecting your time and your space this month. Everyone wants a piece of you, so you've really got to fight hard to protect your time and your space. Set some really strong boundaries. Protect your boundaries as much as you can, because that's going to help you do a little more self-nurturing, and it may even support you as you're trying to find the blessings out of what you feel might not be such a positive situation.